Welcome to Marshall Ringler's Website! Animals have always been a big part of Marshall's life, and this is what Suzy has to deal with because of that! 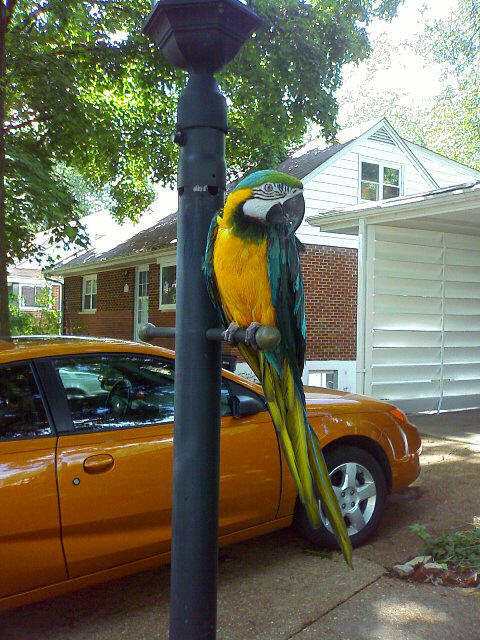 Figaro is a Blue and Gold Macaw that Marshall's family acquired when he was very young. Marshall grew up with him, and he grew up with Marshall. He talks a lot, and loves to play in small, enclosed places. He has a "nest" that we have created for him outside his cage, and whenever we let him out, he heads straight for the nest. It's just a Rubbermaid tub with shredded paper in the bottom, but he will stay in there for hours at a time. He also enjoys shredding empty toilet paper rolls. His favorite foods include spaghetti (with sauce), bananas, almonds (in the shell), and Red Vines (yep, the candy)! He takes a bath in the family shower on a weekly basis, and dances around the tub until he is sufficiently soaked. Jack is the family dog. He was rescued from the local shelter in 2002, when he was just a few months old. He's a Chow/Retriever mix, and mainly lives outside. 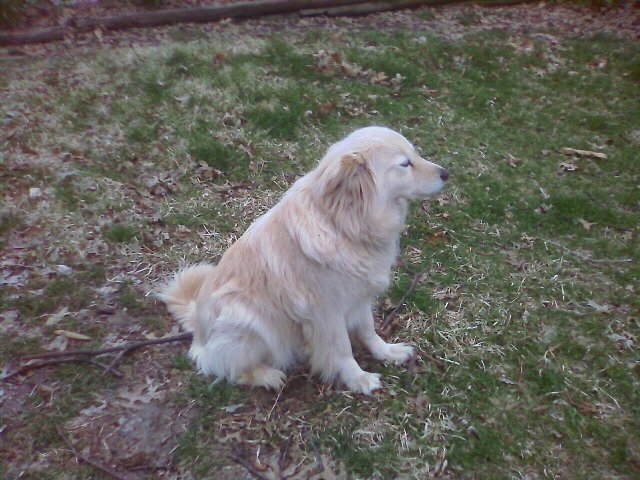 The long hair means that he sheds constantly, especially in the Spring, when he loses his thick winter undercoat. We have 3 fish tanks as well. When Marshall and Suzy met, Suzy had an obsession with fish. Over the last few years, it seems as though that obsession has engulfed Marshall as well. Not only are there 2 tanks at home, but he even set up a tiny one on his desk at work! Copyright © 2014 Marshall Ringler. All Rights Reserved.